After launching the Moto X at $299 late last year, Republic Wireless is moving on to Motorola's other current handset. The Moto G will be available without contract for $149 sometime in April and voice plans on Republic Wireless start at just $5 per month. When the Moto X launched on Republic it still cost over $500 from Motorola. Thus, it was a pretty big deal to sell it for just $299. 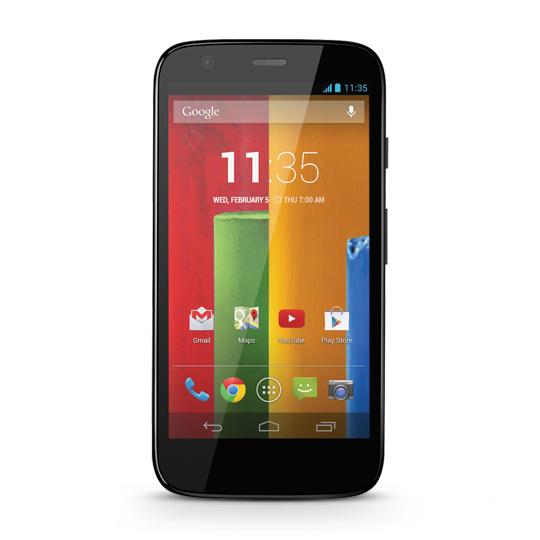 The GSM Moto G's regular price is $179, so $149 isn't as jaw-dropping. A discount is still a discount, though. 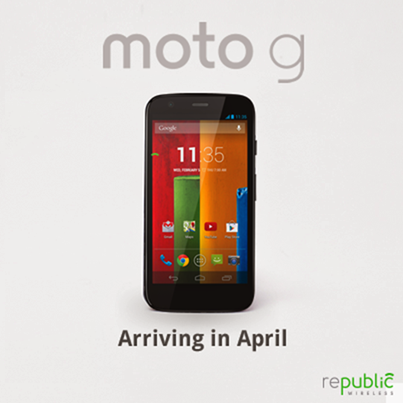 The Moto G on Republic will come with Android 4.4.2, a quad-core Snapdragon 400, 1GB of RAM, and a 4.5-inch 720p LCD. Keep in mind the Moto G doesn't have LTE and Republic Wireless runs on Sprint's network. That means data speeds will be mediocre at best. 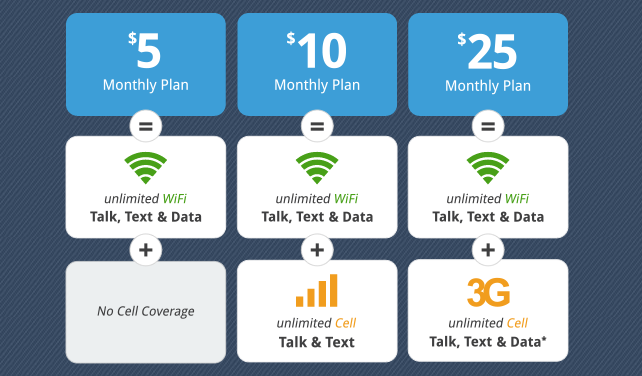 However, the hybrid calling feature ensures you'll have voice and text when you're connected to WiFi no matter how bad Sprint's 3G is. You can sign up to be notified when the release is official and also be entered for a chance to win a Moto G and 12 months of 3G service.